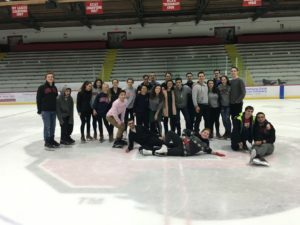 Ever wondered what Jewish life at Cornell is like? Why not come up for a Shabbat! Students will get a chance to meet members of the Cornell Jewish Community, get a private tour of Cornell’s incredible campus and get to experience all that Cornell has to offer for a jam-packed and awesome weekend! Students will stay in residences throughout Cornell’s campus with current students and will enjoy free gourmet meals from Cornell’s flagship kosher dining hall, 104 West! Whether you’ll be applying to Cornell Early Decision or during Regular Decision, you’re guaranteed to have a blast! To see a complete schedule for the weekend, scroll down on this page. Please note that Students are responsible for transportation to and from Cornell. Attendees who are taking the Coach Shortline Bus to campus should await their housing assignment for the weekend before determining at which stop they should get off. Guests staying with a Freshman should get off at the North Campus stop. Those staying at the CJL should get off at the Baker Flagpole (West Campus) stop. Each bus stops at both stops. For more information, please contact the CJL. BBQ Lunch* 11:00 AM-3:00 PM 104West! Shabbat Dinner 7:30 PM 104West! Shabbat Lunch 12:30 PM 104West! Seudah Shlishit 7:35 PM 104West! Brunch* 11:00 AM- 2:00 PM 104West! * Cost of meal not covered.